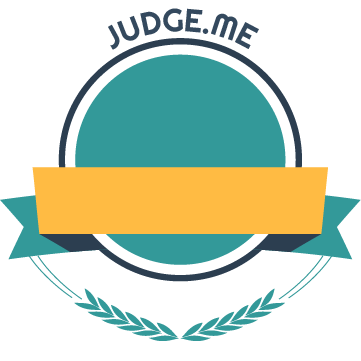 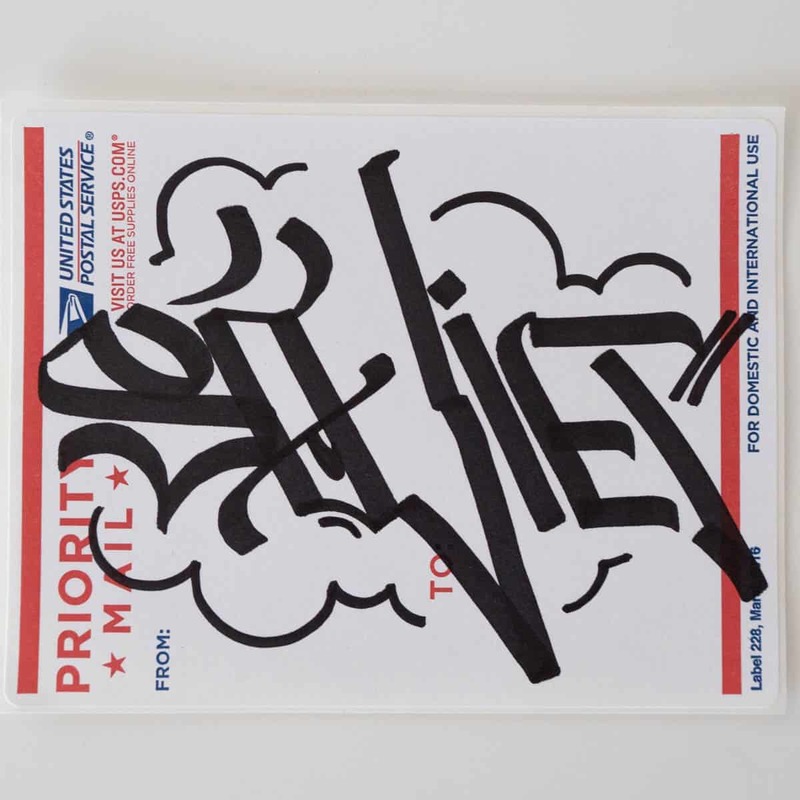 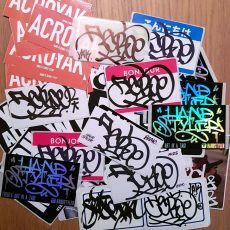 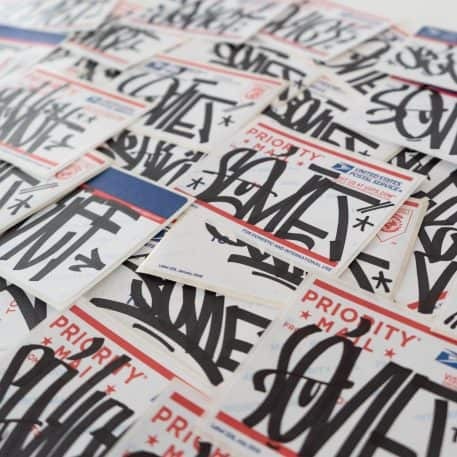 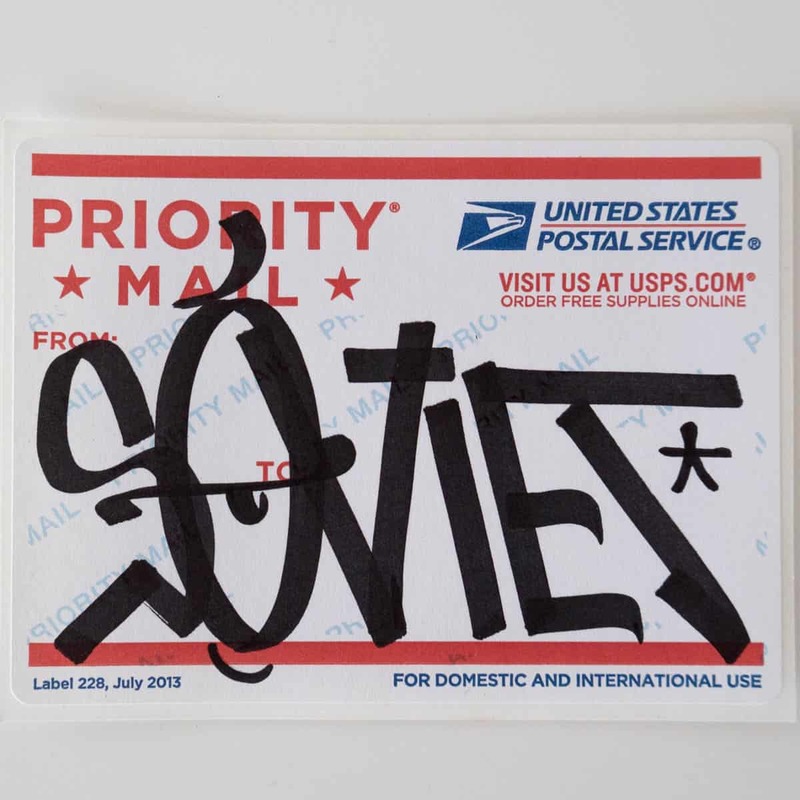 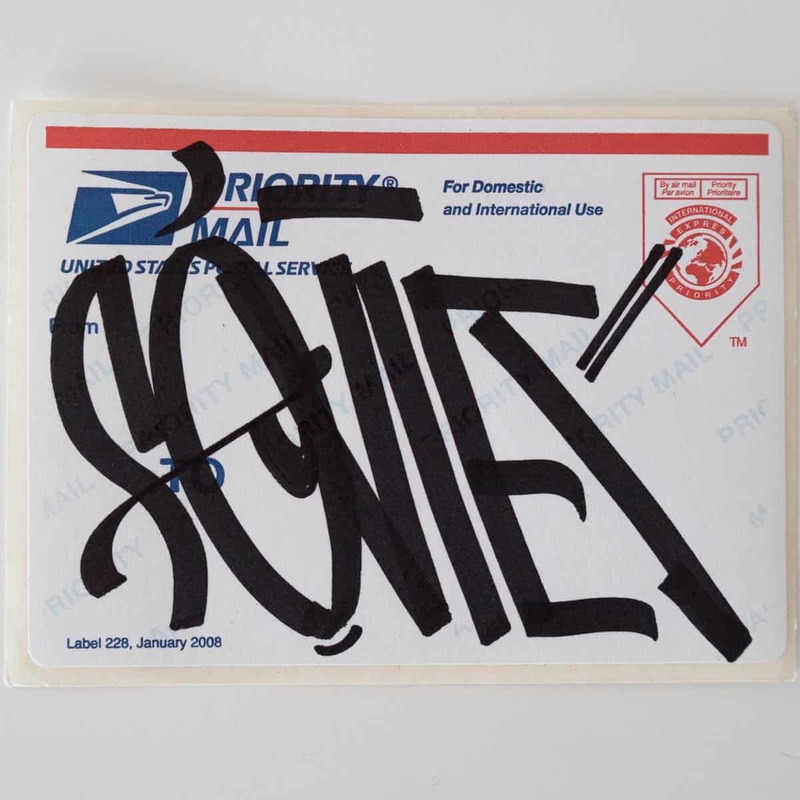 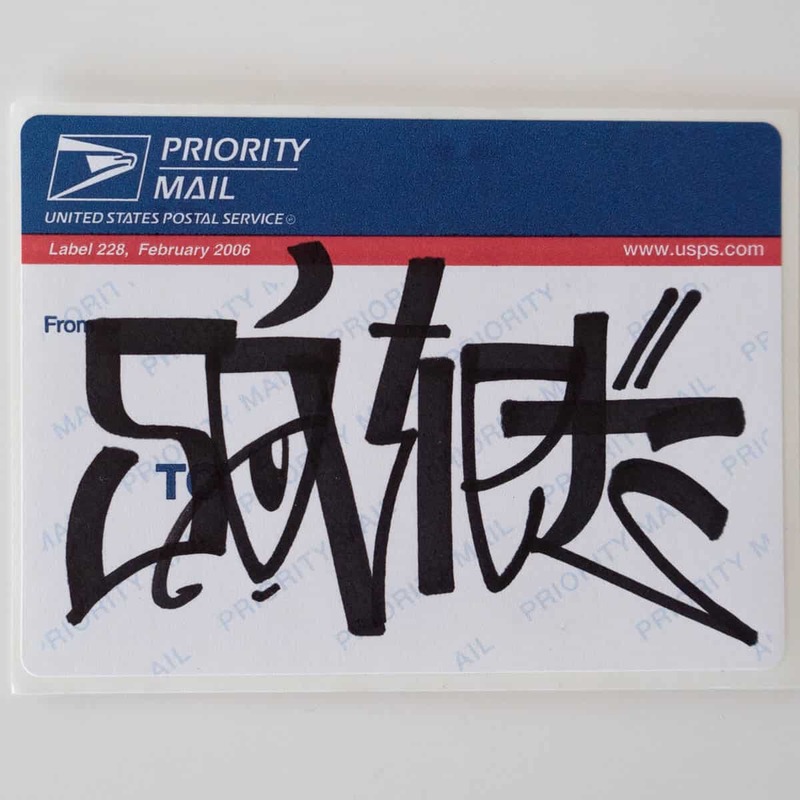 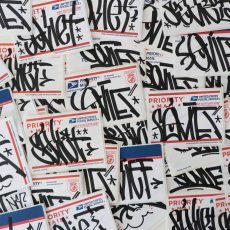 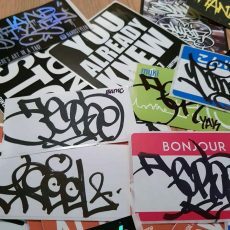 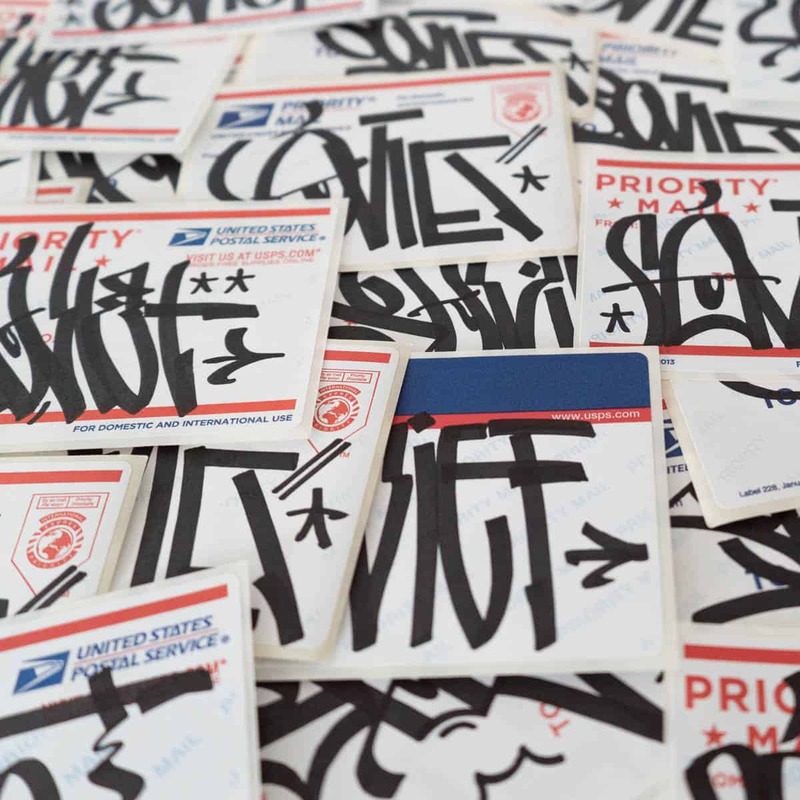 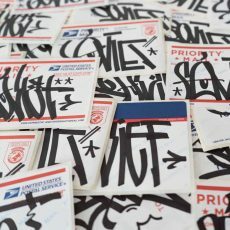 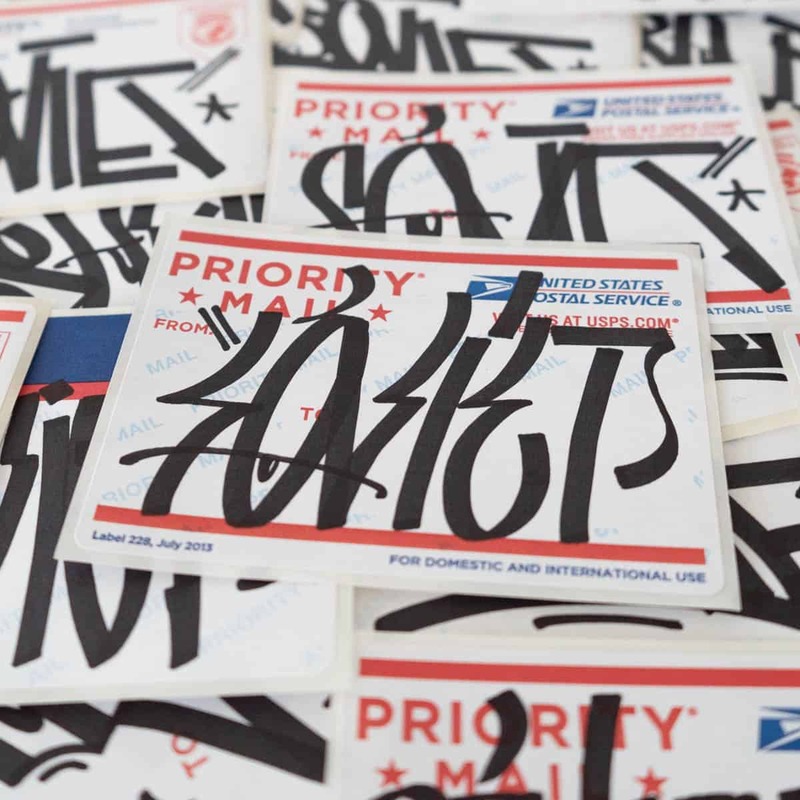 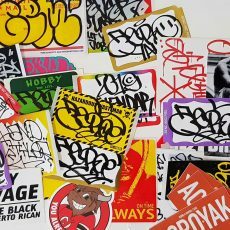 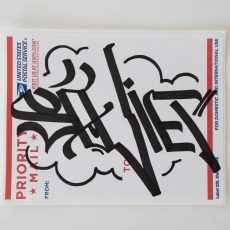 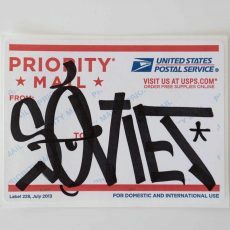 Soviet NSF has put his hands to work on a handful of stickers for your collection. 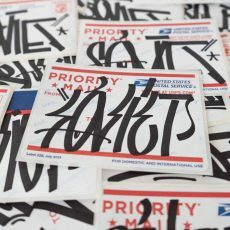 The tags are done on a range of Priority Mail stickers and each one has Soviet’s original flair on it which will look great in a book or framed. 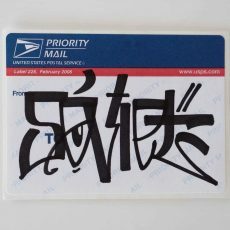 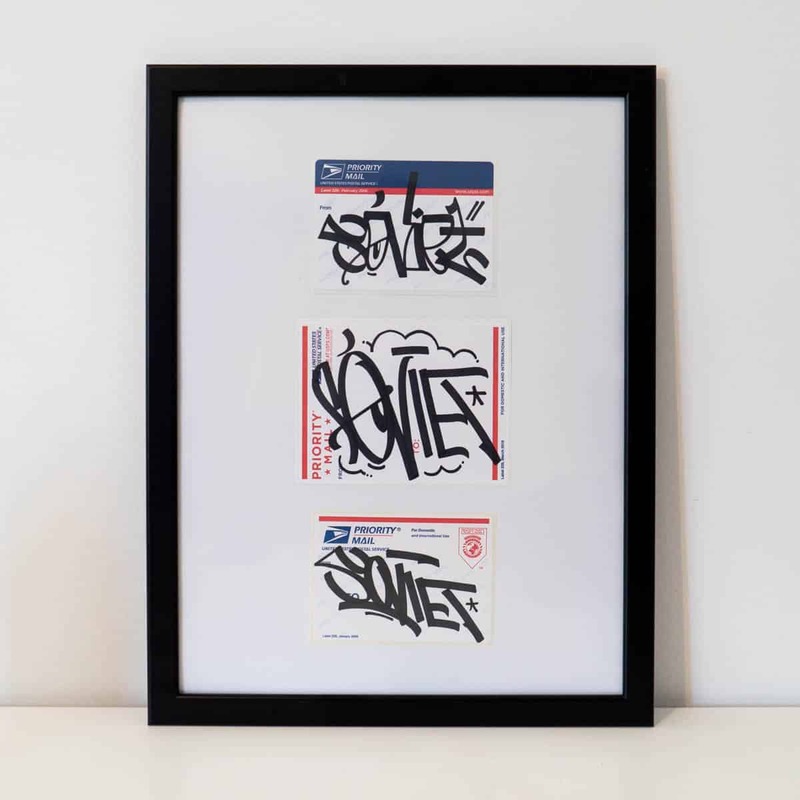 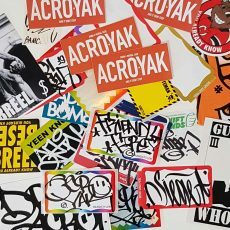 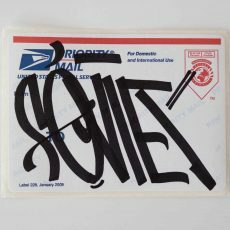 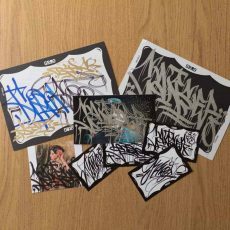 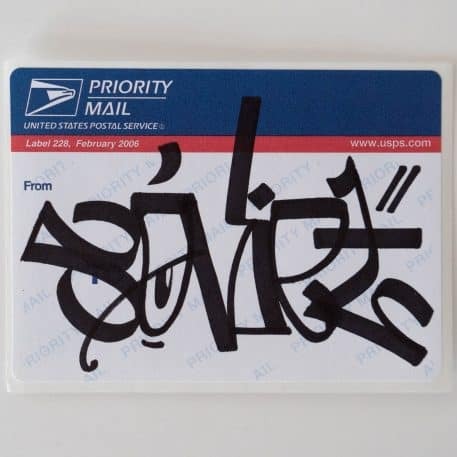 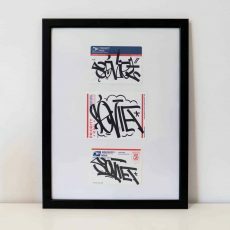 Each pack contains 3 stickers featuring letter bending tags from the man himself along with some various Handstyler stickers.